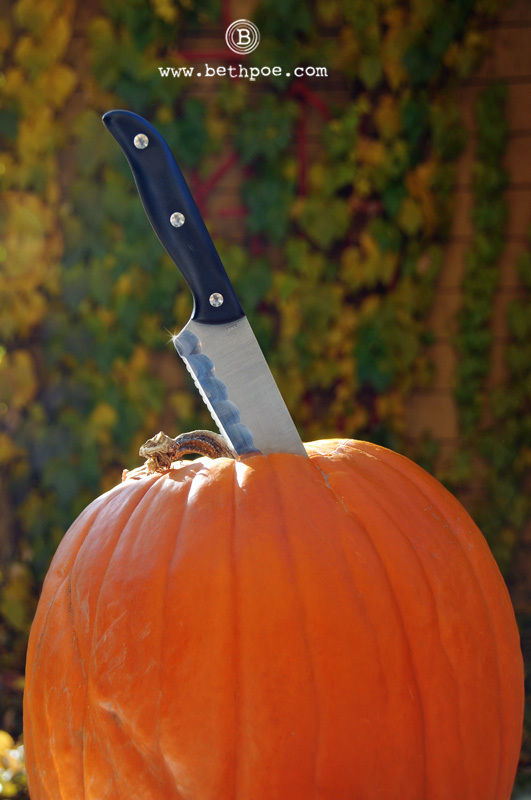 With a busy week ahead, we decided to carve our pumpkins a little early this year. I always look forward to this messy little tradition. There is something so magical about transforming an inanimate object into something special with just a few slices of a knife and the light of a tiny candle. 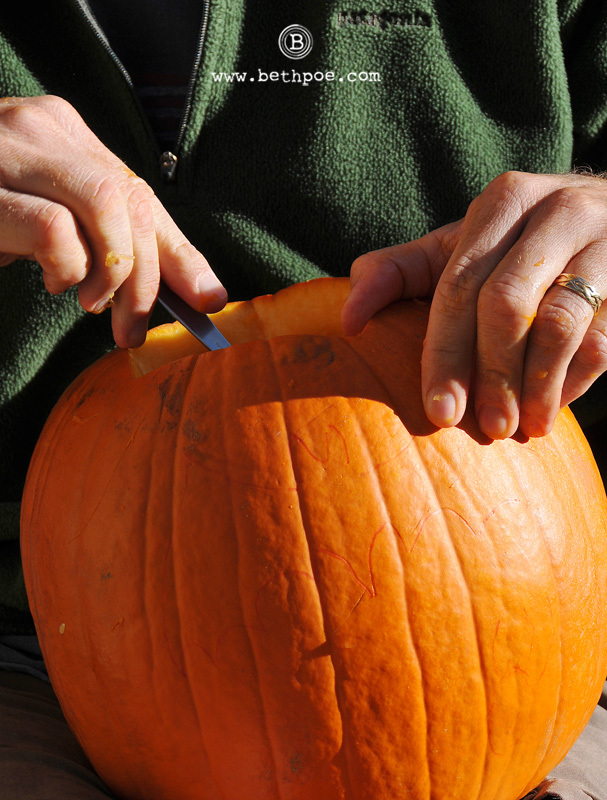 We never consult each other on what our masterpieces should look like, we simply sit down with our pumpkins and carve away. 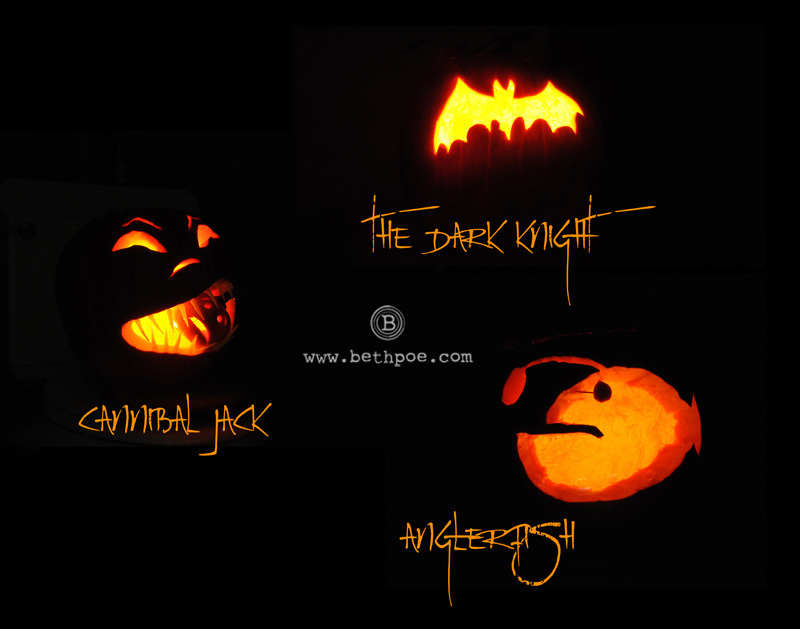 This year’s results: The Dark Knight, Cannibal Jack and an Anglerfish (like the frightening one from the deep dark ocean in Finding Nemo).